After a nationwide search, John Lawrence has been appointed vice president of Iowa State University’s Extension and Outreach programs. 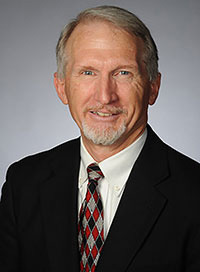 Lawrence, who has been serving as interim vice president since March 2017, previously served as associate dean in the College of Agriculture and Life Sciences, and director of extension and outreach. He will begin serving in the permanent role immediately. Lawrence holds a bachelor’s degree in animal science and a master’s degree in economics, both from Iowa State University, and a Ph.D. in agricultural economics from the University of Missouri. He joined ISU as an assistant professor of economics in 1991, serving as an Extension livestock economist. He has also served as assistant director of the Agriculture Experiment Station, and director of the Iowa Beef Center. Lawrence has also led the Iowa Nutrient Research Center, established in 2013 to develop science-based approaches for reducing the level of nutrients delivered to Iowa waterways and the Gulf of Mexico. In making the announcement, Senior Vice President and Provost Jonathan Wickert praised Lawrence for his performance in the interim role, and thanked members of the search committee for their thoughtful consideration of candidates.